Let's go back to the Swing era! William Johnson Coleman (Aug. 4, 1904 – Aug. 24, 1981 in Toulouse) was a mellow-toned swing trumpeter with a distinctive sound and a lyrical style who spent most of his career in Europe. Bill Coleman started early on to play in different bands and in 1927, he went to New York and worked with Cecil and Lloyd Scott. Two years later, he joined Luis Russell‘s orchestra (1929-1932). In 1933, he traveled to France with Lucky Millinder. 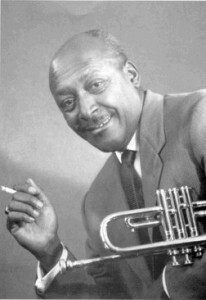 In the next year, Coleman recorded with Fats Waller and played with Teddy Hill's Orchestra, before he moved to France for the first time in September 1935. While in Europe, he worked with Freddy Tailor and recorded frequently as a leader. With Leao Abbey's orchestra, he played in Bombay, India during 1936-1937, was back in Paris from 1937-1938 with Willie Lewis and co-led the Harlem Rhythmakers in Egypt, before he returned to the U.S. due to World War II. Back New York, Coleman played with Benny Carter, Teddy Wilson, Andy Kirk, Mary Lou Williams, and John Kirby, and recorded with Lester Young and Coleman Hawkins. 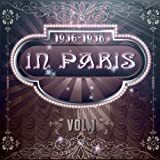 However, he preferred life in Europe and, after a period with groups led by Sy Oliver and Billy Kyle, in December 1948, Coleman moved permanently back to France, staying active and recording fairly regularly up until his death in 1981. Joe Louis Stomp is a tune Bill Coleman recorded while he was living in Paris for the first time. A beautiful Balboa tune featuring his distinctive mellow-tone. What do you think about this version? Share your thoughts below!